The journey to motherhood can be a difficult one, and even painful. Megan Cao’s baby was breach and pressing on her sciatic nerve. In her 17th week of pregnancy she had emergency gallbladder surgery. With a rare disorder related to her vestibular migraines, Cao had been told she wouldn’t be able to push during labor. Now baby Porter was finally in her arms, but there was one more problem. Cao wanted to breastfeed her baby, but it wasn’t working. Over the course of two days, Cao worked with two lactation consultants. The first consultant, Sandy Kasper RNC, BSN, IBCLC, was one of her instructors from Teddy Bear University, a hospital program that helps expectant parents prepare for the arrival of their baby. She patiently helped Cao find the right feeding position, gently worked with her on ways to help a sleepy baby wake up to nurse and made herself available for help later in the day. 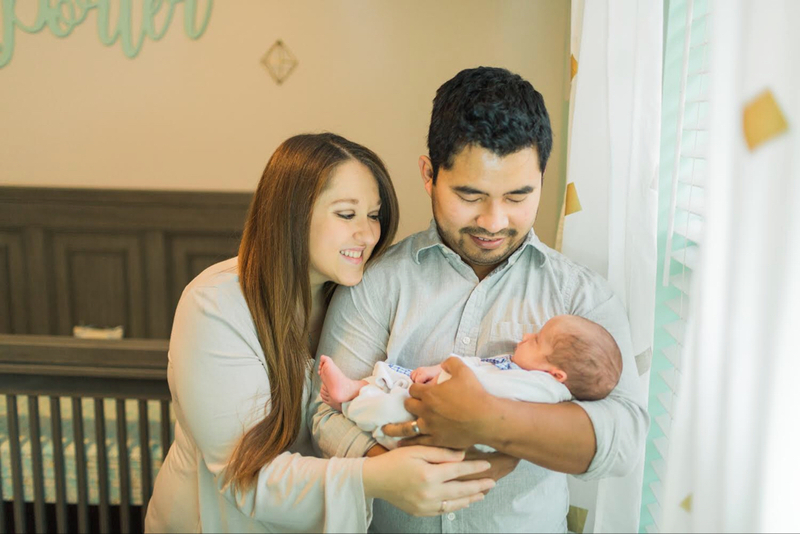 The next day, a second lactation consultant, Monica Nelson RN, MEd, PhD, spent more than an hour with Cao and her husband, making sure they had a handle on how to nourish their new baby. Cao also got some valuable advice and information about how to continue breastfeeding even after going back to work. Today Cao and her husband Tom are ready for whatever challenges are ahead. Motherhood is off to a great start for Cao, and she’s relishing every moment of it. For more information or to register, visit www. covenanthealth.com/teddybearu or call (865) 673-FORT. Fort Sanders Regional delivers more babies than any other facility in the area. You can learn more about options for moms-to-be at fsregional.com/womens-services.